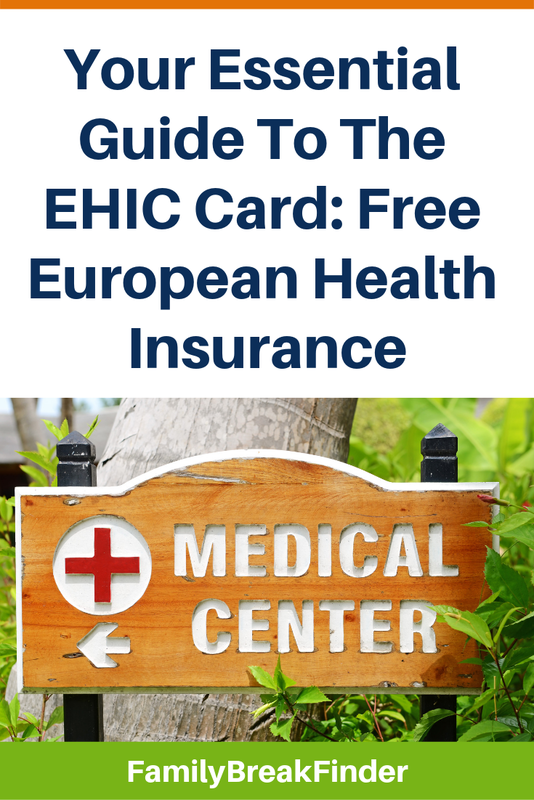 In this simple guide to the EHIC you’ll find out what you’re covered for and how to apply for a free EHIC card. So where can I get an EHIC card? What does the EHIC card do? EHIC v travel insurance: important! What if my EHIC card is lost? Everyone in the family needs their own EHIC: parents and each child. You need to register, but you can link the whole family’s cards to one account. You need to be of British (or EU country) nationality to qualify. If you prefer to apply by post, the application form is available as a PDF and should be sent to: NHS Business Services Authority, European Health Insurance Card, EHIC Applications, Bridge House, 152 Pilgrim Street, Newcastle Upon Tyne NE1 6SN. You can also apply by telephone by calling 0300 330 1350. Having an EHIC Card means you can use state healthcare services in the country you are visiting, so long as it’s in the ‘European Economic Area’ (see below). You’ll either receive free healthcare or be charged the same fees as the locals. You’re allowed to use if for treatment you need urgently as well as for pre-existing medical issues and pregnancy care. If you don’t take an EHIC Card with you on holiday, you could face big fees. You can try and reclaim them when you get back to the UK, but it’s a headache. The following countries are covered by the EHIC. Click the links to read the NHS’ country guide about what each one offers specifically. These countries DO NOT recognise the EHIC: The Channel Islands, including Guernsey, Alderney and Sark; The Isle of Man; Monaco; San Marino; The Vatican. 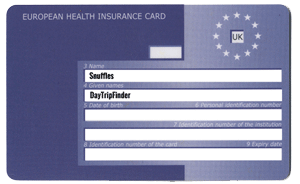 You need to know that the EHIC is not an adequate replacement to travel insurance. This is because not all European countries offer the same kind of healthcare as the NHS. You may still end up with bills to pay. Also you are not covered for rescue and repatriation; if you broke an ankle, for example, the EHIC would not cover the cost of air-lifting you from a remote area. If you needed to get back to the UK but were so seriously injured you could board a normal flight, you would not be covered by the EHIC. And clearly EHIC doesn’t provide any insurance against crime, cancellations or losses. If you lose your card in the UK, call 0300 330 1350 or email [email protected]. You’ll need to provide your full name, UK address, date of birth and your EHIC personal identification number (PIN) if you know it. If your EHIC is lost or stolen while you are on holiday and you have a medical issue that requires attention, you should apply for a Provisional Replacement Certificate (PRC). You need to call the Overseas Healthcare Team on +44 (0)191 218 1999. Someone else can also do this on your behalf. A PRC will give you the same cover as an EHIC until you return home. The PRC can be faxed or emailed to the establishment where you are receiving treatment. You will need to provide your name, address and date of birth. You shouldn’t travel to another country just to access their healthcare services. If you’re suspected of doing that, your EHIC Card privileges will be void. There’s a government smartphone app you can download that will give you advice on using EHIC in any participating country. If you already have a card but are applying for a member of your family, enter your own details into the online registration form. You can renew your EHIC card up to six months before it expires. Use the same EHIC application form to log in. DON’T go to the post office to make an EHIC card application – they’ll only send you back to the NHS website. The EHIC replaces what used to be known as the E111 (pronounced “E One Eleven”). That document – which used to be issued by the post office – is no longer valid. You need an EHIC for any under 16 in your family, even your baby. If you get into a dispute while on holiday about the validity of your EHIC card, contact the nearest British Embassy for advice. If you’re keen to find out more about the EHIC, the European Commission made a short documentary film about it. Go to NHS Choices to apply online. My top tip is to check out the EHIC cover in the country you’re visiting BEFORE you travel. Each country has a unique healthcare system and the EHIC provides medical attention at the same level as a local resident would expect. There are occasional stories of Brits abroad being persuaded to pay for private care or to sign forms that made them liable. So long as you know the situation before you travel – and you remember to pack your EHIC card – you can be confident about your rights.